Messier 74 is a pretty spiral galaxy seen face-on 35 million light-years away in the constellation of Pisces. The symmetrical structure of the whole galaxy was doubtless caused by a star-forming density wave which was at the origin of the spiral arms. A very big telescope (at least 40 cm diameter) is needed to begin to see this spiral visually, although it can be seen as a small blurred spot using binoculars. 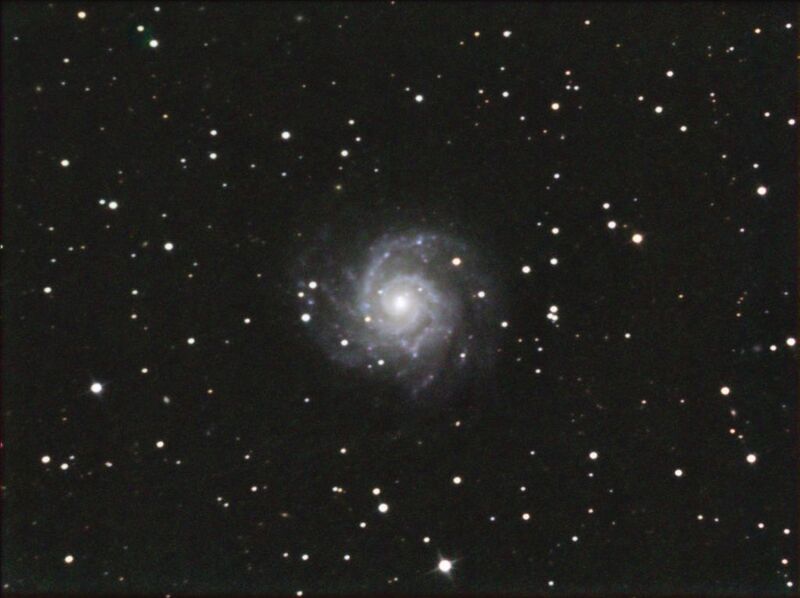 An exposure of over 4 hours using a CCD camera and a 20 cm telescope were needed by "Chamois" (the person's pseudonym on the forum) to take this picture.